Oklahoma Law Firm - Phillips Murrah P.C. A. Michelle Campney, Phillips Murrah Construction Law Attorney, accepts ASA-OK’s Service Provider of the Year award on behalf of the Firm. Phillips Murrah law firm has been recognized once again for its commitment to construction law in Oklahoma. 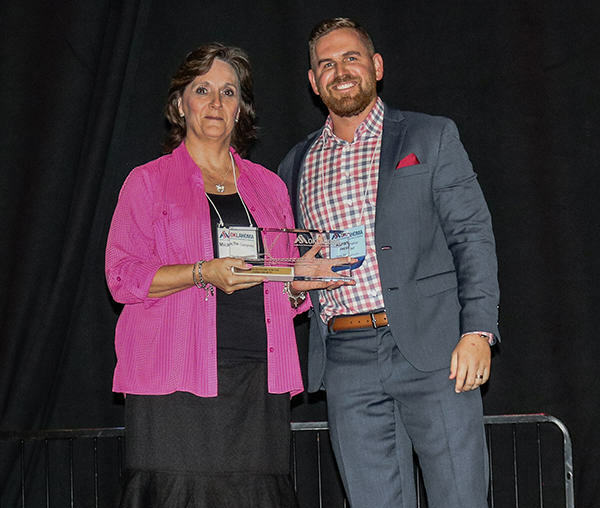 The American Subcontractors Association of Oklahoma awarded the Firm with the 2018 Service Provider of the Year award at their annual Awards Gala on June 8 at Grand Casino Resort in Shawnee. ASA-OK is the primary industry trade group representing subcontractors in the construction industry in Oklahoma and is the state chapter of the national ASA organization. 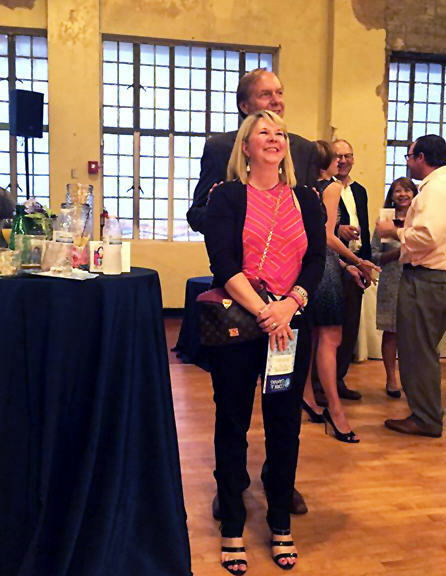 A. Michelle Campney, Phillips Murrah Construction Law Attorney, accepted the award on behalf of the Firm and gave a presentation to the association’s members. Attorneys in Phillips Murrah’s Construction Law Practice Group have more than 20 years experience in the industry and represent and advise clients in every stage of the construction process. 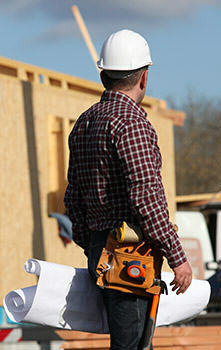 Learn more about our Construction Law representation here. By Jim Roth, Director and Chair of the Firm’s Clean Energy Practice Group. This column was originally published in The Journal Record on January 30, 2017. Oklahoma’s energy blessings far exceed our own state’s needs and demand, which is why we have long sought markets beyond our borders. We typically export our state’s largest commodities, especially natural gas, and we have become optimistic about global markets opening up to help take some of the massive over-supply that the American shale renaissance has helped create. A fight with our neighbors in Mexico is not good for Oklahoma, our economy or the promise of moving past the current recession that has gripped our state. Since 2009 to now, U.S. pipeline exports of natural gas everywhere have doubled and almost all of that growth has been from exports from the U.S. to Mexico. In fact, since 2015, Mexico accounts for more than one-half of all U.S. exports of natural gas. Daily average pipeline exports now exceed 3.5 billion cubic feet per day, which is 85 percent above the previous five-year-period average, according to the U.S. Energy Information Administration. Much of Mexico’s growth in natural gas consumption has been attributed to the growth in Mexico’s domestic electricity demand and the fact that Mexico, like the United States, has been choosing cleaner-burning natural gas for its power plants. Northern Mexico is particularly growing and the demand is expected to continue. In fact, Mexico announced in 2015 a five-year plan to significantly increase its pipeline infrastructure with 12 new pipelines over 3,200 miles, to allow for greater importation of American natural gas for its energy needs. As of today, contracts have been awarded on seven of the 12 pipelines, including a 2.6-billion-cubic-feet-per-day capacity pipe from southern Texas to Mexican states along the Gulf of Mexico. We should want these markets to grow and we should want this infrastructure to access the massive supply available here in America. Those two things can directly benefit Oklahoma and the many producers who call Oklahoma home, regardless of where they produce. We already know that our state budget and economy are in peril because of the massive downturn in oil and gas commodity prices, which have led to serious drops in tax revenues. It is suggested that the 2018 budget will be off another 12.6 percent less spending capacity from even this year’s reduced budget. Now is not the time to play political games with a neighbor and customer that accounts for such significant growth in our ability to export American and Oklahoma energies. Our economy and our national security are both better served by growing foreign markets for American goods. Let’s throw that idea up against the proverbial “wall” and see what sticks today. Phillips Murrah is proud to announce that 35 of our attorneys have been named to the 2017 Best Lawyers® list and seven of our attorneys are recognized as Best Lawyers – Lawyer of the Year in Oklahoma City. By David A. Walls & A. Michelle Campney. From The Contractor’s Compass, an educational journal of the Foundation of the American Subcontractors Association. IN THIS ARTICLE . . .
Research project liens and litigation records. Investigate financial strength of prime and project financing. Imagine that you need to fill a high-level position in your business. This position is one that will have a visible and immediate effect on your bottom line. Perhaps it is your chief estimator, COO or head of sales. Because you need this person right away, you decide not to ask any applicants for a resume or do any kind of background check. You are going to hire solely on the basis of the fact that you really need to fill the position. Sound crazy? It is. Yet, many businesses follow this same plan when submitting bids or soliciting work from owners, developers and prime contractors — all of whom will affect their business to at least the same extent as the aforementioned employees. This is likely traceable to the difficult economic environment for the construction industry. When work is scarce, it is hard to be too picky about work. Regardless, there are some basic steps any subcontractor can and should take to assess, or “prequalify,” a prime contractor before taking on any new project. What type of work is the prime contractor known for in the industry? What current or recently completed projects has the prime contractor done? What subcontract agreement does the prime contractor use, and can it be negotiated? Can a copy of the subcontract be obtained in advance of bidding? Will the prime contractor work with the subcontractors when the inevitable project challenges arise? Subcontractors also should do a thorough background check on the public legal records pertaining to a prospective prime contractor partner. Many states and counties make these records available on the Internet, but at a minimum they can be checked via a quick trip to the office of the records clerk. Typically, county records can be checked to determine if subcontractors and suppliers have filed liens on projects involving the prospective prime contractor. If a foreclosure action has resulted from the lien, it may mean that, for some reason, payment issues were serious and difficult to resolve. It is important to keep in mind that liens can be filed even when a project is going smoothly, but their existence likely warrants further inquiry. Subcontractors can check court filings to see if the prime contractor has been involved in litigation, and if so, the nature of the lawsuits that have been filed. Unfortunately, today’s society is litigious, so the mere existence of litigation does not, in and of itself, reveal much about any business. But a large volume of litigation, or a large volume relative to the number of projects undertaken, may warrant further investigation. Moreover, lawsuit records will show the names of other businesses that can be contacted to obtain additional information. A subcontractor should attempt to determine the financial liquidity of the prime contractor. Examining Uniform Commercial Code filings against the prime contractor in the county clerk’s office may provide some information in this regard. If there are many filings, most of the prime contractor’s assets may be encumbered for financing. It is even more important to investigate the financial status of the owner and the project. If the project is not fully funded, there is a real possibility the project will terminate and payment in full on the subcontract will not be made. Is the project financed with public, private or a combination of public and private funding? Publicly financed projects need scrutiny, as government agencies struggle with tight or reduced, and sometimes forecasted, funding. For example, some public projects may be funded in phases and have only partial appropriations before work commences. If the project is privately financed, the project likely has to meet requirements of the financial institution. A project financed by a public-private partnership may have project financing in place, but could lack payment assurances for subcontractors, as liens cannot be filed on public property and a payment bond may not be required. The subcontractor also should scrutinize the financial health of the industry of which the owner/ developer is a part, such as oil and gas, technology, or health care. Calendar all deadlines to file claims. Deal with payment issues immediately. Get change orders and extra work in writing. Obtain the legal description for the property or project. Know what happens if you don’t get paid. Know whether the contract has an arbitration clause or venue provision. Taking the time up-front to protect your company will save you time and money in the end. David A. 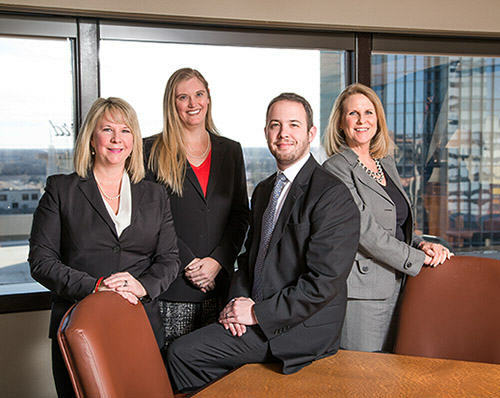 Walls and Michelle Campney are attorneys with Phillips Murrah P.C., Oklahoma City, Okla. Walls can be reached at (405) 235-4100 or dawalls@phillipsmurrah .com. Campney can be reached at (405) 235- 4100 or amcampney@phillipsmurrah.com. By Jim Roth, Director and Chair of the Firm’s Clean Energy Practice Group. Gavel to Gavel appears in The Journal Record. This column was originally published in The Journal Record on Dec. 7, 2015. During this holiday season with parties, travel and the mad dash to purchase (and afford) gifts for those loved ones in our lives, it’s often too easy to focus on the wrapping rather than the meaning of the season. Christmas by Christians – It is believed that ancient Christians took over Saturnalia, an ancient Roman Pagan seven-day festival of Saturn that started on Dec. 17, and used it to commemorate the birth of Jesus Christ, although evidence within the Bible (Luke, etc.) suggests His birth during a warmer month like October when the shepherds were still in their fields keeping watch over their flocks. Winter solstice is celebrated by some Native Americans and aboriginals in the rest of the world. Hanukkah (aka Festival of Lights) by Jews – This eight-day/night Jewish holiday begins on the 25th day of Kislev, which can occur in very late November or during December and commemorates the redirection of the Holy Temple in Jerusalem at the time of the Maccabean Revolt against the Seleucid Empire. Bohdi Day by Buddhists – recalling the day that Buddha attained enlightenment as Dec. 8. Id al-Fitr or Ashura (aka Feast of Sacrifice) by Muslims – Whether Sunni or Shiite, this holiday commemorates events significant to Muhammad and typically involves fasting. So as we rush around, too often engaged in the commercialization of the “season,” a few ideas come to mind about how we all can slow down, catch our breath and actually engage in a few ways that any deity would want for us and the world around you. While some gifts are practical items, such as those socks and T-shirts many have come to expect each year, most gifts are really intended as gestures of love, kindness and thoughtfulness. So although many kids prefer those shiny new toys, consider giving your adult loved ones a gift of service or an experience instead of a store-bought item. Be creative and show your thoughtfulness by giving of yourself rather than your credit. This can be done in many ways beyond material goods. Consider a homemade edible gift that showcases a family recipe to share or plants some bulbs in their yard for gifts this coming spring. Look for a family heirloom around your home that would be meaningful to share and pay it forward to the next generation. You can also offer a charitable contribution to an organization that may symbolize what’s most important to you this time of year, such as Heifer International, which helps impoverished families feed themselves, earn income and care for their environment. Likewise, many food banks and food pantries are in ever-increasing need for help as the plight of hunger is felt by many people, including many children here in America. So whether you choose to celebrate one of the seasonal holidays or are simply looking for ways to bring more meaning to your gift-giving, please join me in thinking of ways to demonstrate thoughtfulness to your loved ones and to the world around us; the real reason for the season. 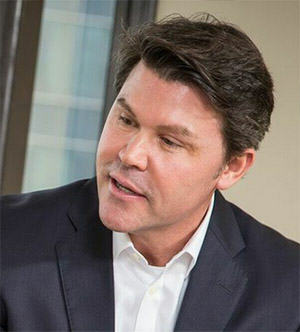 Jim Roth, a former Oklahoma corporation commissioner, is an attorney with Phillips Murrah PC in Oklahoma City, where his practice focuses on clean, green energy for Oklahoma. On Sunday, The Oklahoman Newspaper published their annual list of Oklahoma’s Top Workplaces. Phillips Murrah takes pride in our healthy, positive workplace, and the Firm is honored to be on the 2015 list. Phillips Murrah is the only Law Firm on the Oklahoma’s Top Workplaces list. To learn more about the workplace culture at Phillips Murrah, visit our Careers page: http://phillipsmurrah.com/careers. To create the 2015 Top Workplaces list, The Oklahoman partnered with Philadelphia-based WorkplaceDynamics, a research firm that specializes in employee surveys and workplace improvement. Lastly, the survey measures Engagement, which includes retention, motivation, and referral. From The Oklahoman 2015 Top Workplaces special section published Dec. 6, 2015. (from left:) Marketing Director Dave Rhea, Legal Secretary Deena Baker, Billing Specialist Monica Ball, Director Jennifer L. Miller and Director Jason Kreth compete in the Corporate Regatta at the Oklahoma Regatta Festival on Oct. 2, 2015. Phillips Murrah is proud to announce that 35 of our attorneys have been named to the 2016 Best Lawyers® list and three of our attorneys are recognized in The Best Lawyers in America© 2016 in Oklahoma City. Jim Roth’s Friday column, Earth Business, appears in The Journal Record. Originally published in The Journal Record on July 17, 2015. View Jim Roth’s attorney profile here. 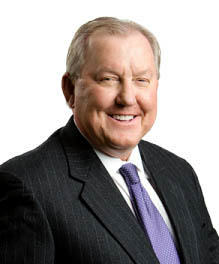 Jim Roth is a Director, Chair of the firm’s Clean Energy Practice and a former Oklahoma Corporation Commissioner. The hotly contested Export-Import Bank of the United States has been in existence since 1934 by executive order, was made a separate agency by Congress in 1945 and exists to finance and insure foreign purchases of American goods for customers unable or unwilling to accept credit risk. This seemingly sleepy entity has been in the news lately due to its upcoming potential death. Its most recent three-year charter lapsed as of July 1 because of Congress’ inaction and unwillingness to reauthorize. Today, the bank cannot engage in new business and can only manage its existing loan and business portfolio. The Ex-Im Bank has been a dividing political issue since its conception. Created to help the U.S. increase exports and create more jobs here, it has been hugely successful in those objectives. The Ex-Im Bank currently helps 129 Oklahoma companies with global exports of nearly $1 billion in total export value, $938 million in total insured shipments, guaranteed credits or disbursed loan amounts and $815 million in total authorizations. This enormous economic infusion has created thousands of Oklahoma jobs creating products, machines and services. The U.S. Import-Export Bank, like most Ex-Im banks around the world, focuses in financing private-sector exports and has helped create or maintain many thousands of jobs all across America. Its recent years have seen more focus toward energy and manufacturing products, thus creating a growing political divide in Washington along the way. Today, those most concerned about the potential death of the bank have been the alternative energy sectors, which have used the bank more recently to finance some of their green energy ventures. Yet just a few years ago, the bank was heavily criticized for “being on a fossil-fuel binge” for supporting liquid gas projects for Exxon-Mobil in Papua New Guinea and a coal plant in India with ties to Wisconsin business interests. Meanwhile, growing antagonism today about the bank seems to be coming from lobbyists in the fossil-fuel sector and conservative groups representing American banks that don’t want the competition for lending. And to stray away from any specific sector of the U.S. economy to the larger picture, it is clear what the importance of the Ex-Im Bank is to the U.S. economy. The future of American exports and job creation seems bleak without the institution because this is the U.S. Ex-Im Bank, while many other countries have their own banks that finance exports and they have bidding wars in highly contested export markets. What this means is that if the U.S. Ex-Im bank did truly die on June 30, the U.S. export market is likely to shrink exponentially without financing. This loss of financing may hurt small businesses worse, those who rely on the bank for their overseas transactions. In fact, significant percentages of the bank’s finances go to small businesses with 164,000 jobs created in 2014 alone. So the facts are pretty clear that without the U.S. Export-Import Bank American businesses and jobs are at stake. Surely Congress must understand that? It is critical that our country support the U.S. Ex-Im bank for its importance to American businesses, both large and small, in places like Oklahoma and beyond. We cannot let party politics affect our financial future negatively. If U.S. industry wants a better future for markets overseas, the U.S. Ex-Im Bank must have its life span extended. And oh by the way, the best part is that it won’t cost taxpayers a thing. When do we ever get that good of a trade? Gavel to Gavel appears in The Journal Record. This column was originally published in The Journal Record on July 16, 2015. During a bankruptcy case, we often hear about the debtor perspective. Whether due to unfavorable market conditions or poor planning, the result is financial hardship that inhibits a borrower from completing a loan agreement. When a bankruptcy is filed, the debtor gets the benefit of an automatic stay preventing collections activities by the creditor. To enforce a security interest, the creditor can request to lift the stay. More frequently, given recent rulings by the Oklahoma Supreme Court in foreclosure matters, debtors challenge the creditor’s right to even enforce the security interest. Thus, the result is the debtor seeks the stay to remain in place. Creative debtor attorneys are now making an attempt to use the state Supreme Court’s reasoning in bankruptcy court as well. There is some case law holding when debtors fail to timely perform their stated intent, the stay is lifted. When this happens, it is appropriate for a lender to file for relief from the stay and cite these cases as legal authority for the request. A Chapter 13 “reorganizes” debt and allows the debtor to make one monthly payment to a trustee, who then disburses payment to the creditors. When a vehicle loan is involved, lenders are seeing frequent attempts to cram down the vehicle’s value in order to pay less. A savvy creditor will know how and when to object to this type of plan treatment. Often, it takes months for a Chapter 13 plan to confirm. For the creditor, this presents the problem of not receiving payment on their loan for a significant amount of time. The remedy is to seek an order of adequate protection, which will direct the trustee to make a pro rata payment to the creditor pending confirmation of the plan. Levelland Productions got a lot of good press last week with their actions that are propelling the Oklahoma City music scene. For background, we mentioned Levelland in March as they broke ground on The Criterion, a premier live music venue that will allow A-list bands to come to Bricktown rather than playing at the various, road-trip-distance, edge-of-the-metro casino venues. Or in Tulsa, (which I’ll mention in a bit). The Criterion is set to change the way we experience music in OKC with a world-class, dedicated-music venue comparable to what one would expect at a Hard Rock Live. Or a House of Blues (owned by Live Nation, which I’ll mention in a bit.). Last week, Levelland announced a 15-year agreement to operate the iconic Tower Theater, an historic theater situated on 23rd Street between Hudson and Walker. This agreement will make Tower Theatre into a roughly a 1000-capacity music venue and an upscale cocktail bar. On the heels of that announcement came word that Levelland Productions is teaming up with Live Nation for booking talent into The Criterion. The word on the street is that this move will put Oklahoma City on the map as the state’s music capitol. Here is Lackmeyer’s full story about the The Criterion / Live Nation partnership. 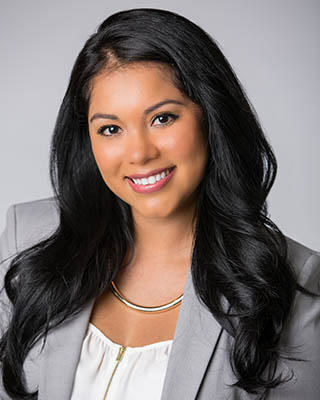 Monica Y. Ybarra is a litigation attorney who represents individuals and both privately-held and public companies in a wide range of commercial litigation matters. OKLAHOMA CITY – Cultivating excellence at a law firm goes beyond hiring smart talent. Experts said developing legal leaders is about recruiting and molding well-rounded attorneys. Attorney Monica Ybarra, who was hired a year ago at Phillips Murrah, said she was drawn to the firm because of its size and culture. “As a brand-new person coming out of law school who doesn’t know anything, that’s very attractive to me because I feel like I can learn from experts who know what they are doing,” Ybarra said. Ybarra said she believes it’s important to work in an environment where she is able to learn from experts about many types of law and where she feels comfortable asking questions. Ybarra said guidance from her supervising attorney has helped her progress and gain experience in her areas of interest. Click here to see the entire article at JournalRecord.com. Robert N. Sheets is a commercial litigator, director and one of the firm’s founders. He represents construction and energy industry clients in a broad range of real estate, land use and business litigation matters. Phillips Murrah Director Bob Sheets featured in the media as a source in a story by Oklahoma Watch investigative journalist, M. Scott Carter. The story, titled “Price of Admission to Nursing Homes: No Lawsuits,” is about nursing homes in Oklahoma that require arbitration agreements as part of the admission process. Oklahoma City attorney Robert Sheets, who specializes in business litigation, said arbitration agreements prevent most appeals from going to courts and can prove less expensive for both parties. Oklahoma Watch is a non-profit corporation that generates original content that is distributed by media partners around the state and through the Oklahoma Watch website and social media accounts. 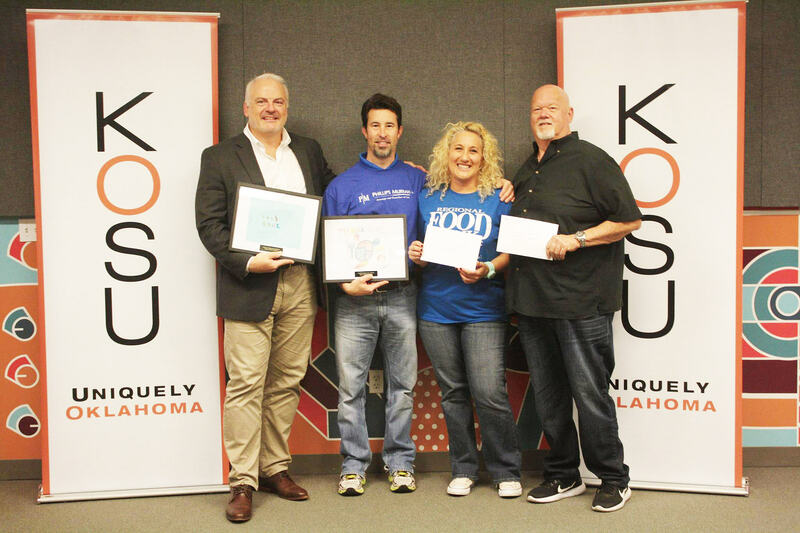 They collaborate with other news outlet and focus on data-driven journalism and other enterprising reporting that complements coverage in other Oklahoma and regional media. Originally published in The Journal Record on Apr. 17, 2015. Most consumers have assumed for years that gasoline prices will increase in the summer. New research from the Center for Economic Analysis suggests that this perception is false, and that Midwestern gasoline prices do not tend to increase in the summertime when motorist hit the highways. The center has studied weekly gas prices since 1995 to isolate summertime gasoline prices. They utilized data for two gasoline formulations, including the price of conventional regular unleaded and reformulated regular unleaded. In the late summer of 2014 gasoline prices started to drop, and they kept dropping, to lows not seen since early 2009. Economists now expect these suppressed prices to remain through 2015. Both AAA ad GasBuddy.com recently released statements saying the national average price for a gallon of gas is expected to be $2.35 from Memorial Day through Labor Day, during the summer driving season. The Energy Information Administration projection put summer gasoline prices at $2.45 per gallon. The latest AAA Fuel Gauge Report indicated the national average price for regular unleaded gasoline has fallen for 24 of the past 30 days, after reaching a peak-to-date price for 2015 of $2.46 per gallon on March 7. Terry L. Hawkins is a director of the firm and is chair of the Public Finance Practice Group where he has more than 33 years experience in municipal finance projects. Phillips Murrah Director Terry Hawkins was featured in the Claremore Daily Progress newspaper in relation to $2.4 million in building bonds being issued to build and renovate schools and related projects. The $2.4 million in building bonds is part of the $42.645 million bond issue passed by school district voters in November 2007 for the construction of Catalayah Elementary and the new high school gymnasium, as well as Lantow Field additions and other renovations throughout the district. The bonds will become due in the amount of $600,000 two years from their date and $600,000 annually each year following until paid. 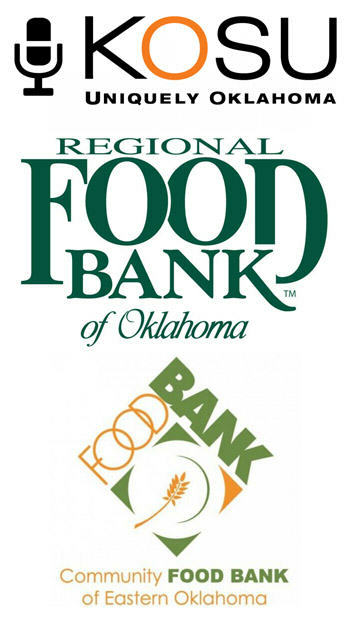 Board members approved the employment of Terry L. Hawkins with Phillips Murrah P.C., of Oklahoma City, as bond counsel for the issuance of bonds. Phillips Murrah Director Jim Roth went under the shears in Miami, Fla. on Saturday, April 11 to have his head shaved in support of St. Baldrick’s Foundation. Jim set a personal goal of raising $2,000 from his friends, which he far exceeded. He dedicated his campaign to Fletcher Vines, a child who lost his battle to cancer. Jim’s campaign has gone on to raise $3,705. 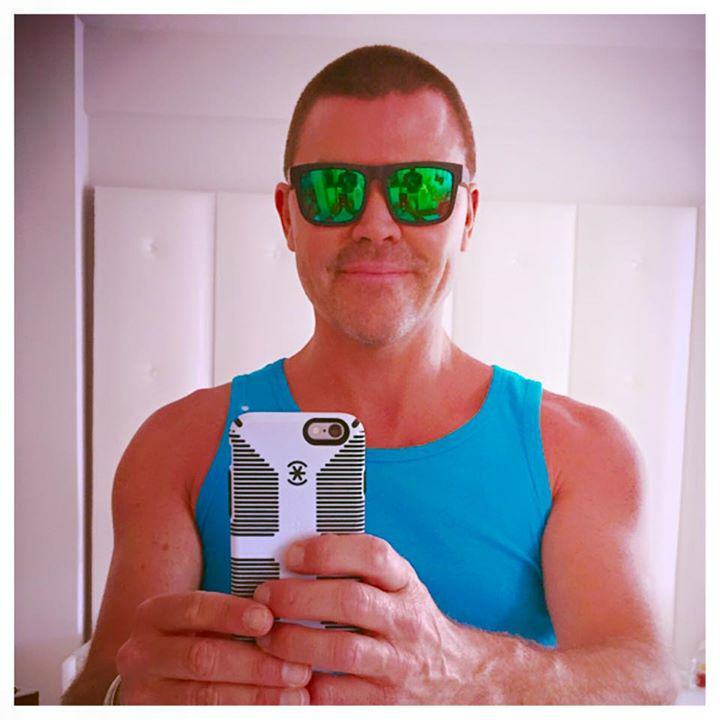 Donations can still be made – click here to make a contribution to this worthy cause. St. Baldrick’s works closely with leading pediatric oncologists to determine the most promising research to fund and create funding priorities to make the greatest impact for children with cancer. Read more on their website here. 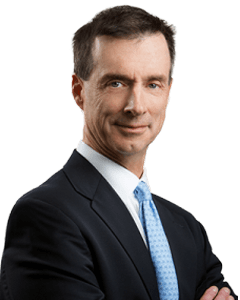 Tom Wolfe is a trial attorney and commercial litigator whose practice is focused on complex business cases including product liability, oil and gas, mass tort and class action defense. Tom is also the president and managing partner at Phillips Murrah. Phillips Murrah President and Director, Tom Wolfe, is quoted in The Oklahoman regarding the Kingfisher wind project. KINGFISHER — Apex Clean Energy has agreed to pause construction on part of its Kingfisher wind farm until more details can be shared with a Texas oil company concerned about the project affecting one of its top areas of exploration. Newfield Exploration Mid-Continent Inc. pulled its request for an emergency temporary restraining order after attorneys for the company worked out a 15-day “stand-down” with Apex attorneys Tuesday afternoon at the Kingfisher County Courthouse. Tom Wolfe, an attorney with the Phillips Murrah law firm who represented Apex, said the 15-day stand-down covered five of the sections where Newfield was concerned about its oil and gas infrastructure being affected by underground electricity collection cables, lines needed to connect the turbines. In return for the stand-down, Wolfe said Newfield agreed to drop its claim that Apex didn’t provide adequate notice of construction plans under a 2011 state law requiring notice to owners of mineral rights of new wind or solar projects. Read the full story here on newsok.com. 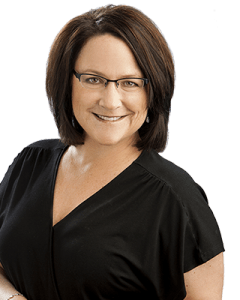 Jennifer Ivester Berry is an attorney with a solid reputation in guiding real estate transactions with a focus on development, financing and energy. 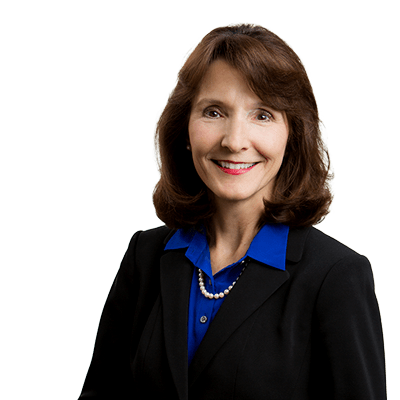 She represents individuals, and privately-held and public companies in connection with a wide range of commercial real property matters. Q&A from NewsOK: Phillips Murrah attorney Jennifer Ivester Berry discusses the what, when, how and why of eminent domain. View Jennifer Ivester Berry’s attorney profile page here. View the article at NewsOK.com here. Q: What is eminent domain? A: Eminent domain, condemnation, taking power — these words sound ominous and forceful, as if the party on the receiving end has no choice but to succumb to the directive of the imposing party and give up something for nothing. However, stop for a moment and remember that with most constitutionally created powers come some series of checks and balances. Eminent domain, in its most simplistic form, is the power to acquire private property for a public use, provided that the property owner receives just compensation. Some of the most recognizable uses of the eminent domain power are for the establishment of roadways, hospitals, railroads and utilities. In more recent years, the use of eminent domain for purposes of economic development has sparked a public policy debate that will no doubt continue for years to come. Q: When can eminent domain be used? A: The power of eminent domain originates from the state’s constitution, and the Oklahoma Legislature enacts statutes that set out the manner, purpose and through whom such power may be exercised — a system of checks and balances. For example, municipalities are granted a general power of condemnation under the state statutes, so long as the taking is for a public use and the property owner is adequately compensated. There are certain circumstances and uses that the Legislature has identified as being for the benefit of the public and thus created specific statutes covering them, for example, the removal of dilapidated buildings, the improvement of water and sewer systems, and urban renewal. The Legislature also conferred the power of eminent domain on utility companies, public enterprises and common carriers. Private individuals or companies also may utilize the power of eminent domain for agricultural, mining and sanitary purposes, as well as for establishing private roadways where access in an issue. Q: How does eminent domain work? A: The party seeking to condemn property will usually have attempted to negotiate with the landowner to acquire the property. That said, if a municipality or utility company is dealing with numerous parcels of land with countless owners, using the condemnation proceeding can simplify the process and avoid negotiations that may or may not be successful. Once the condemnation proceeding is filed, the court appoints three individuals (commissioners) who will examine, evaluate and inspect the property. The commissioners are instructed to return an award to the court that reflects the fair market value of the property taken, as well as any injury to any part of the property not taken. The award is payable to the landowner even if the landowner owner contests the award. If, as a result of a contest, a jury finds the fair market value of the property to be an amount in excess of 10 percent of the commissioners’ award, the landowner may be entitled to reasonable attorneys and expert fees. Q: Why do we need eminent domain? A: Using eminent domain to obtain property for roadways and utilities is rarely a source of contention, even if ultimate ownership of such property is by a private party. The more controversial issue is whether the government can use its eminent domain power to aid a private party. The U.S. Supreme Court has blessed the use of eminent domain as a governmental incentive for economic development. However, numerous states, including Oklahoma, have taken a more narrow view and require that the use of eminent domain power for economic development must involve the removal, elimination or prevention of blight. Proponents of this power, whether the broader or more narrow application of it, argue that without it being available as an incentive for private development, economic development would be stifled significantly. Others, however, feel that failure to value individual property rights actually dissuades potential residents and business from moving into a community and as such cripples any potential for economic growth. One thing is clear, eminent domain will continue to be used for economic development and as such continue to be a debatable issue in the private sector. Originally published in The Journal Record on Feb. 13, 2015. Oklahoma’s cleanest and cheapest form of electricity comes from its own wind projects. Although our utilities don’t operate under a mandate, or what’s known as a renewable energy portfolio standard, like many states, we have a goal calling for 15-percent renewable energy by 2015. According to the Corporation Commission, our state enjoyed 18.42 percent of its energy from eligible renewable energy resources in 2013. That trend continues. With the American portfolio of renewable energy growing and utility portfolios further diversifying, wind energy produced 14 percent of American electricity in 2013 and early 2014. Turbine technology is improving; wind is more available to generate electricity than ever. We’re on the map as the sixth-largest state for wind power. The future of renewables here seems very promising. Yet a few case studies address what can happen when political winds change and politicians begin to push policies choosing coal at the expense of wind development. Investments in the Australian market for renewable energy face a very stark contrast from where the country was headed, due in large part to the changing political winds. The Australian Renewable Energy Target is a key policy established in 2001 designed to ensure that 20 percent of the country’s electricity comes from renewable resources by 2020. Since the RET legislation in 2001, pro-renewable energy activist groups across Australia have raised substantial investments and awareness for the benefits of renewable energy. However, the fate of Australia’s RET has been placed in jeopardy by political leaders. Reports show that investment in large-scale renewable energy projects have plummeted over the past year. While investment in global renewable energy is up by 16 percent, Australian numbers have dropped by 88 percent. Australia Prime Minister Tony Abbott and his pro-coal agenda have created serious ambiguity in federal government’s position on renewable energy policy and investors are leery. Many investors and developers are considering either downscaling or leaving Australia altogether. The downward trajectory will undoubtedly continue for years to come. Many Australian developers are looking to invest in the United States and other global renewable energy markets. A spokesperson for General Electric, an investor in renewable energy projects in Australia, said future investment will only occur once investor confidence in the policy environment is restored. This sounds good for America and perhaps for Oklahoma, but only if our state and country continue to welcome and nurture this growing industry. It’s arguable that similar anti-renewable efforts in some states may damage the overall contributions to America’s growing portfolio of renewable energy resources. A reversal of policies could have the same chill on investments, steering billions of dollars to neighboring states or regions, as is happening with Kansas. In 2009, Kansas legislators passed an RPS requiring state utilities to capture 20 percent of their electricity from renewables. Legislative efforts and debates last year failed to repeal this law, but newly re-elected Gov. Sam Brownback is beginning to sound more like Abbott than a governor of a wind-rich state, with no coal industry to speak of. Recent legislation proposed by state Rep. Ken Corbet, R-Topeka, seeks to reduce the RPS to 10 percent in 2015 and repeal the RPS statute by July 1, 2016. Let’s hope that Oklahoma’s political leaders don’t forsake our state’s clean energy promise by following the lead of Kansas or Australia, or even fostering an anti-investment environment such that our state faces the same loss or potential loss beginning to appear elsewhere. Stay tuned to this legislative session. The Supreme Court of the United States stay order blocking three pending executions in Oklahoma, handed down Jan. 28, doesn’t actually change anything, said Phillip Murrah Director and one of the firm’s founders, Robert N. Sheets. While there is much interest and coverage of the motion, no decision has been made that will change how death sentences are carried out – other than a mandate to remain in place for the time being. While the occurrence is quite interesting, it is simply an order to halt executions until the highest court of the land has a chance to hear arguments and make a decision. From The Supreme Court of the United States on Jan 28, 2015: Application (14A796) granted by the Court. Respondents’ application for stays of execution of sentences of death presented to Justice Sotomayor and by her referred to the Court is granted and it is hereby ordered that petitioners’ executions using midazolam are stayed pending final disposition of this case. Wednesday’s order doesn’t address the death penalty. The State of Oklahoma is still able to execute condemned prisoners by any other means previously deemed constitutional, Sheets noted. 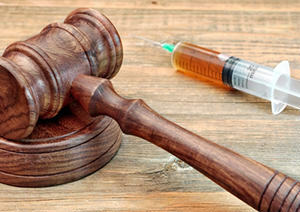 The Stay also doesn’t make a determination about the controversial decision to use the drug midazolam as lethal injection agent during the execution process. It doesn’t determine anything about constituent ingredients. It doesn’t address process or propriety. It doesn’t make any kind of judgment, one way or the other. The Supreme Court will hear Glossip v. Gross in April and issue a decision in the summer. The focus of the case is the drug, midazolam, and whether it causes pain and suffering in the inmate. The drug is part of a drug combination used in the state’s lethal injection process. Last year, Oklahoma received worldwide attention after an execution using the same drug when terribly wrong. 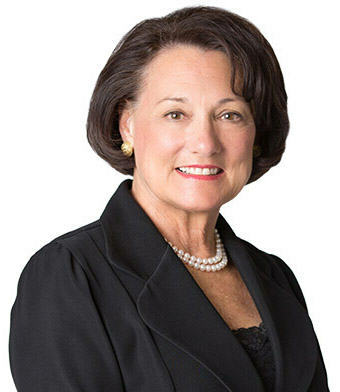 Phillips Murrah attorney, Mary Holloway Richard, a pioneer in healthcare law who has practiced in the area of clinical research and regulatory law for many years, said that the drug, itself, isn’t necessarily the problem. Rather, how and under what conditions it’s administered could be more at issue. In other words, the dosage amount and duration of administration is very important to successful effect. Oklahoma has a three-drug protocol. Also implicated is the manner in which the drug is administered. After the Clayton Lockett execution problems, Oklahoma released a report identifying insufficient training of those administering the drug and communication between prison and support staff, as well as a lack of contingency planning on the part of the Department of Public Safety. The report also points to difficulties in starting the IV in Mr. Lockett.